Dreamhowl has been playing Minecraft since 2012. She enjoys building, farming, and breeding animals. She especially enjoys magic modpacks! What is an Underground Farm? As in real life, every crop that you harvest in Minecraft needs to be grown in dirt. Dirt blocks make up large portions of most Minecraft worlds and are incredibly easy to acquire. It is impossible to plant and farm crops on any other material block (excluding mushrooms, sugarcane, and cactus). As long as the conditions are appropriate, crops can be farmed both above land and underground as long as they are planted on dirt blocks. Unless you are growing saplings, sugarcane or mushrooms, just planting seeds on a dirt block is not going to work! Tilling a dirt or grass block with a hoe creates a farmland block. Farmland blocks are tilled dirt that all crops can grow on. However, grass cannot spread onto farmland once it has been tilled. Farmland needs to be constantly hydrated by a block of water to remain in this form; dehydrated farmland will turn back into dirt, uprooting any seeds that were currently growing. Jumping on farmland will also trample crops, ejecting the seeds from the ground. Water blocks are required to hydrate farmland and grow most crops. Hydrated farmland looks “wet” compared to dehydrated farmland (being darker brown in color). While wheat does not need water to grow, it grows more quickly when hydrated. For farmland to remain hydrated, there must be one block of water up to four blocks away - either horizontally or diagonally. The water needs to be either on the same level as the farmland or one block above it. Rain naturally hydrates farmland, but the effect fades away a few minutes after the storm stops. Utilizing farmland space in relation to water blocks can maximize your crop yield. In order to grow crops like wheat, carrots and potatoes, you need a source of light. Having your farm outdoors ensures that your crops will get plenty of light without having to construct anything; however, using sunlight to grow your crops is not required. Wheat, carrots, potatoes and other crops like melons and pumpkins can grow as long as the light level above them is at least 9 - it does not have to be sunlight. Torches alone have a light level of 14! The flexibility of light sources for growing crops makes building an underground farm both easy and lucrative. Are you ready to give building an underground farm a try? Underground farms are just like outdoor farms, except they exist underground. 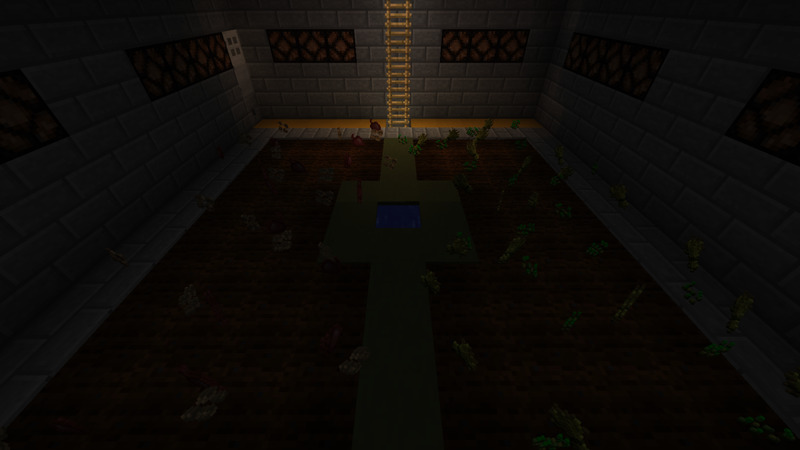 Players sometimes farm underground to protect their crops from the zombies, skeletons and creepers that spawn at night. If you are on a multiplayer server, having an underground farm can protect and hide your food source from other players. 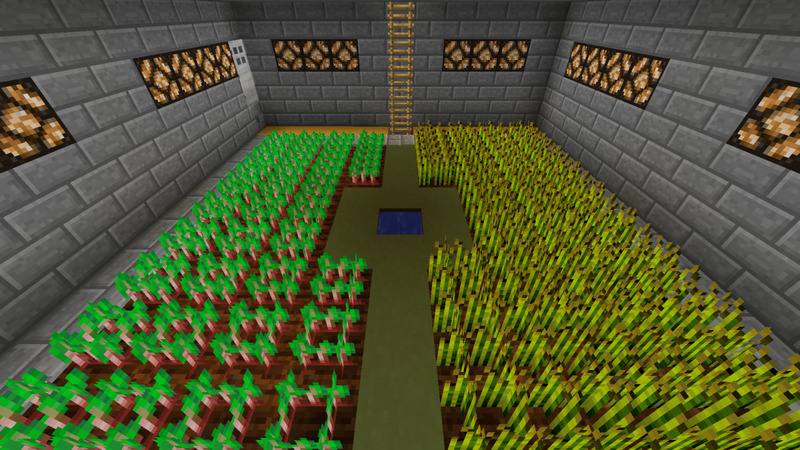 Building an underground farm also ensures that your crops will have a light source that also keeps mobs from spawning. So how do you build an underground farm? It doesn't matter where you build your underground farm, as long as it is underground! Think about how big you want your farm to be, and what crops you want to grow. If you want to grow multiple crops, you can combine your farms in one room, or separate them according to type. 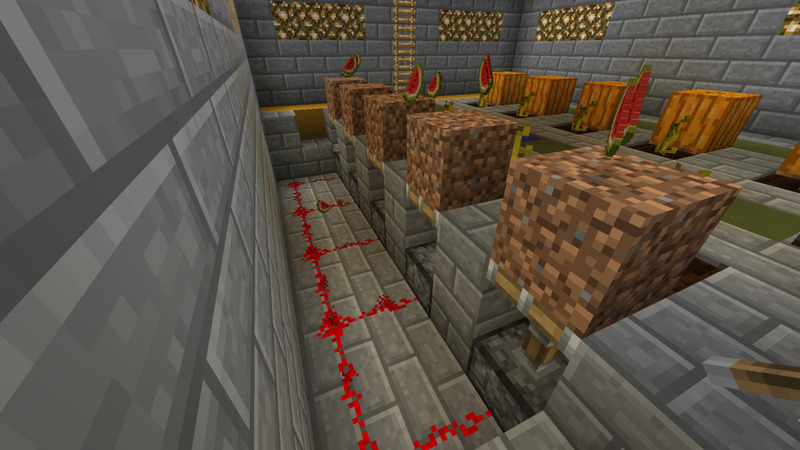 In my underground farm, I have separate rooms for my wheat farm and my pumpkin and melon farm. Make sure you have room for a redstone lamp setup if you plan on building one! Your underground farm needs light to grow and prosper. As shown in the table above, most light sources are bright enough to grow crops without the aid of sunlight. Torches are the simplest and cheapest option; placing them at least 12 blocks apart will guarantee that your crops have enough light and that mobs won’t spawn. 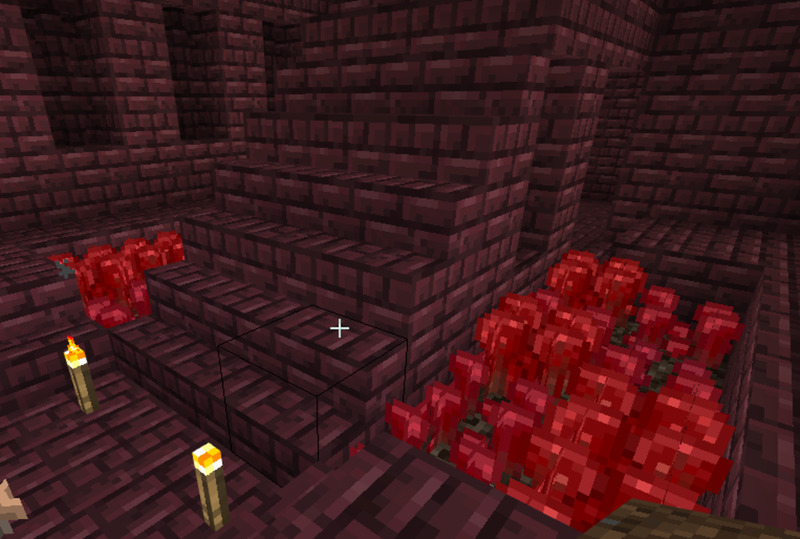 If you want a fancier décor, try using glowstone or crafting redstone lamps. Both give off the same light level as sunlight and have more visual appeal. 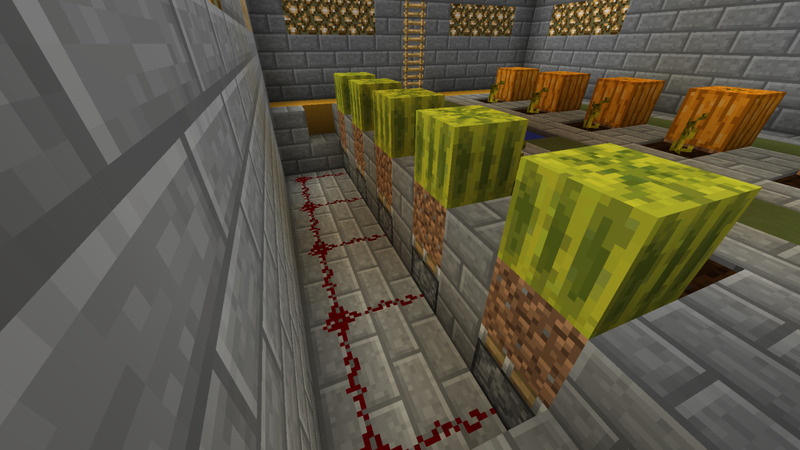 Keep in mind that redstone lamps require switches or redstone setups to turn on, however. Once you've built your underground room and set up a light source, make sure that your dirt blocks are always within four blocks of a water block. To properly maximize the output of your farm, place one water block in the middle of a 9x9 patch of dirt blocks. This one block hydrates the farmland surrounding it and allows you to grow more crops in a smaller space. You can place as many 9x9 squares on your farm as you wish. This method is great for growing wheat, carrots, beets and potatoes; however, melons and pumpkins require an extra dirt block to grow on and may need a more creative layout. You don’t need to design your underground farm this way, but it is a simple and efficient setup. 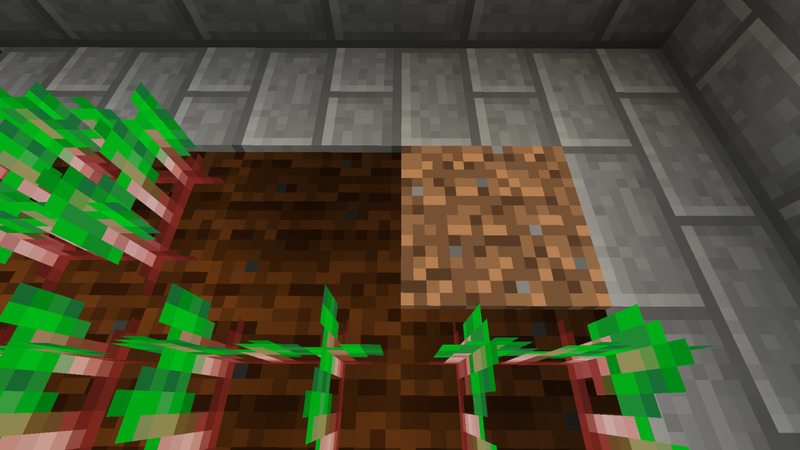 To grow your crops, you’ll need to till the dirt blocks first. 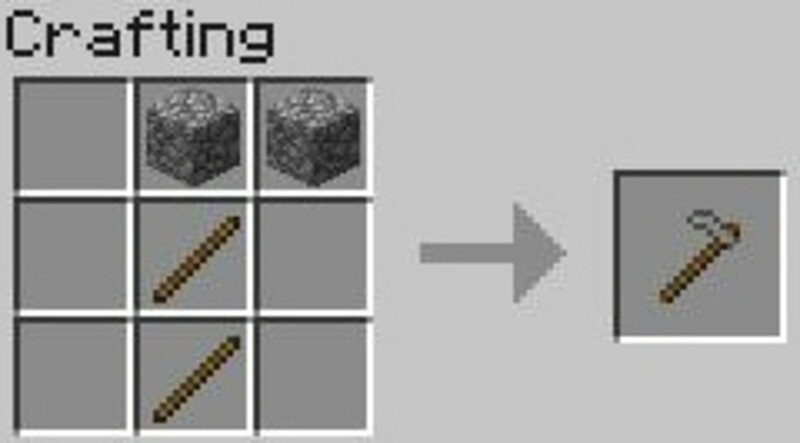 You can make a hoe with cobblestone, iron, gold or diamond, though you won't be using it often; dirt blocks that have been tilled into farmland don't need to be tilled again unless the blocks are not constantly hydrated or seeded. The only crops that don't require tilled farmland are sugarcane, cactus, mushrooms and saplings. 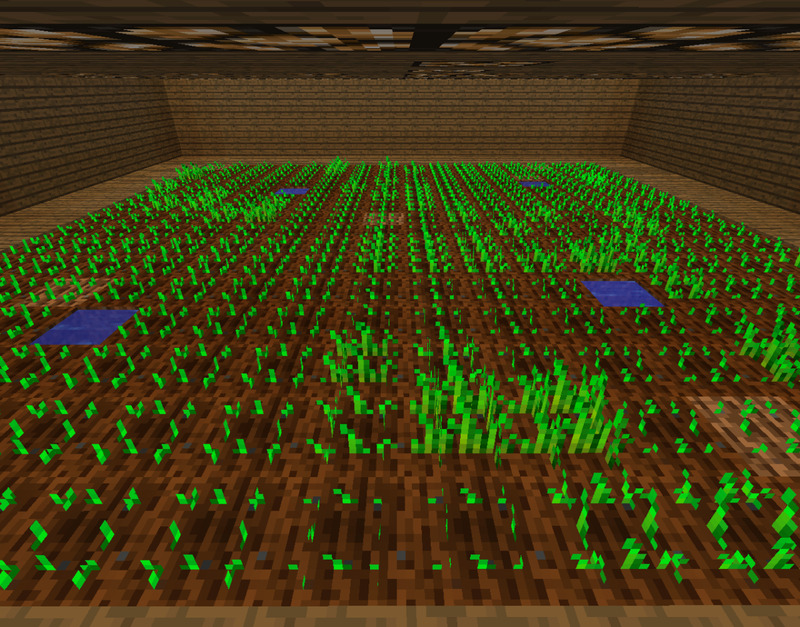 Once you have planted crops, all you can do is wait - unless you speed the growth with bonemeal. Depending on how big your underground farm is, the time it takes to do this may not be worth the effort! Harvesting your crops prematurely results in killing the plant and getting back the seeds; if you harvest wheat before its time, you will get back wheat seeds and have to plant it all over again. Fully grown crops are at their tallest and are sometimes more yellow than green. When pumpkins and melons are fully grown, the crop grows onto the dirt block next to the plant. When you harvest a fully grown crop, you receive the end product (wheat, carrots, potatoes, etc) along with new seeds to plant in its place. In later Minecraft versions, you can right-click on most crops to harvest them without ripping out the seeds! Do you have an underground farm? 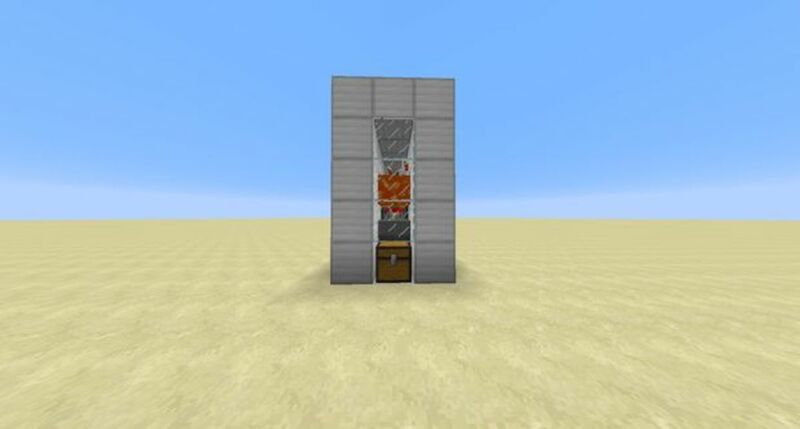 To do this, you will need extra space above or around your underground farm to place the redstone lamps and connect them with redstone. 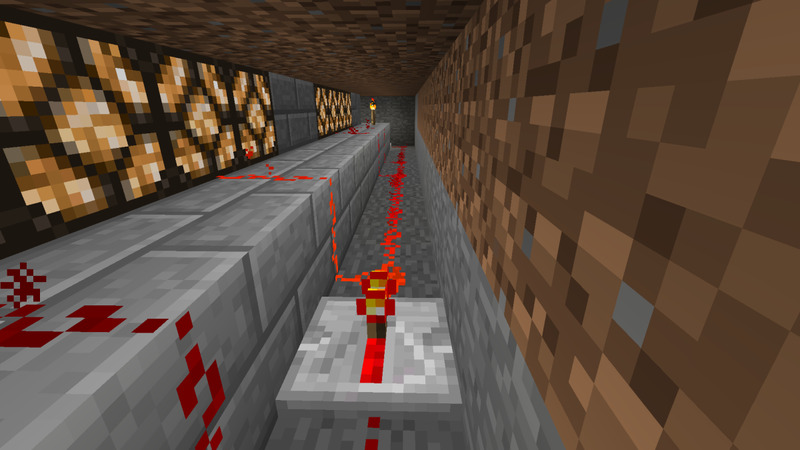 Redstone configures itself to point toward any adjacent redstone circuits (made by running redstone dust on the ground) and redstone powered components, such as redstone lamps and levers. 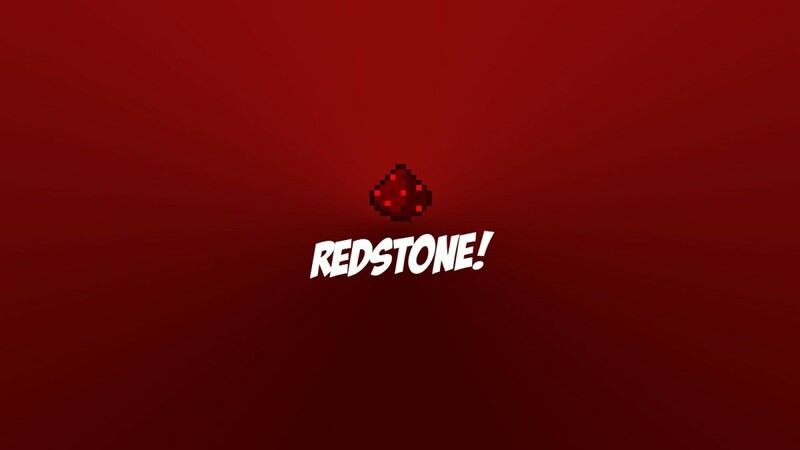 Redstone that is powered will turn bright red, while redstone that is not powered will be dark red. The video at the beginning of this hub displays a simple redstone lamp setup! 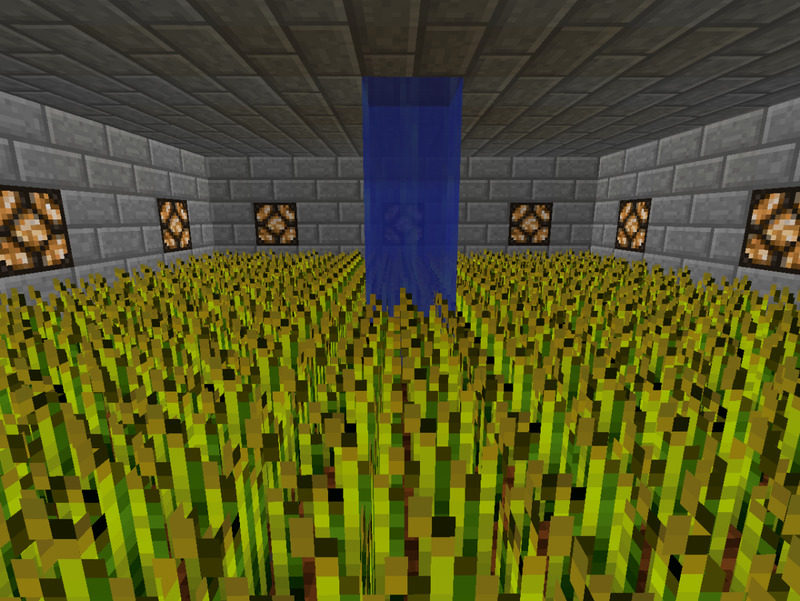 When growing sugar cane, is the same light level needed as wheat to grow? 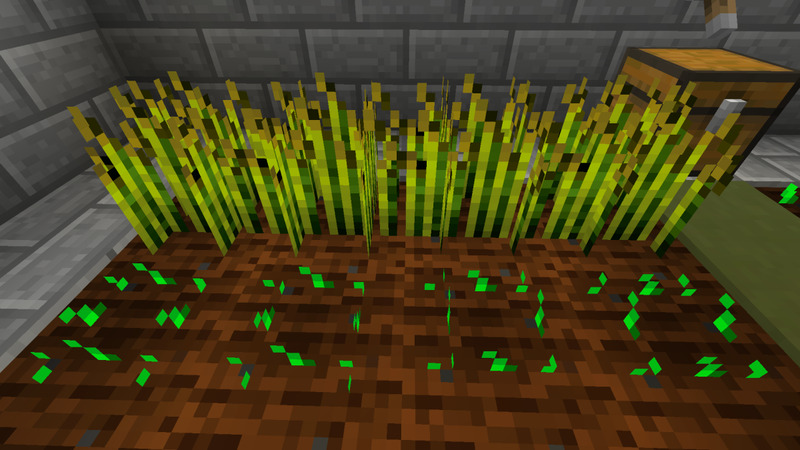 Sugar cane does not require light to grow at all! Wheat, however, requires a light level of 9 or higher. 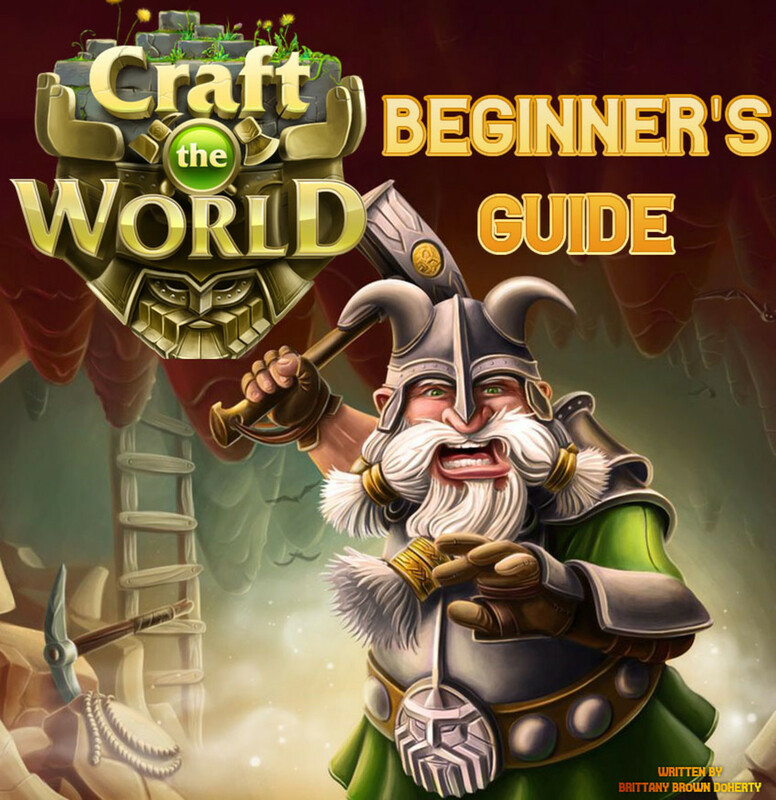 "Craft the World" Beginner's Guide: How to Build a Shelter, Use Magic Spells, and Other Helpful Tips! Redstone Tutorial for Minecraft: What Can Redstone Be Used For? This is great!!! Thank you!!! @mikeydcarroll67 Thank you! Farming and animals are the bits of Minecraft I love the most. I haven't really gotten into the farm aspects of the game as much. 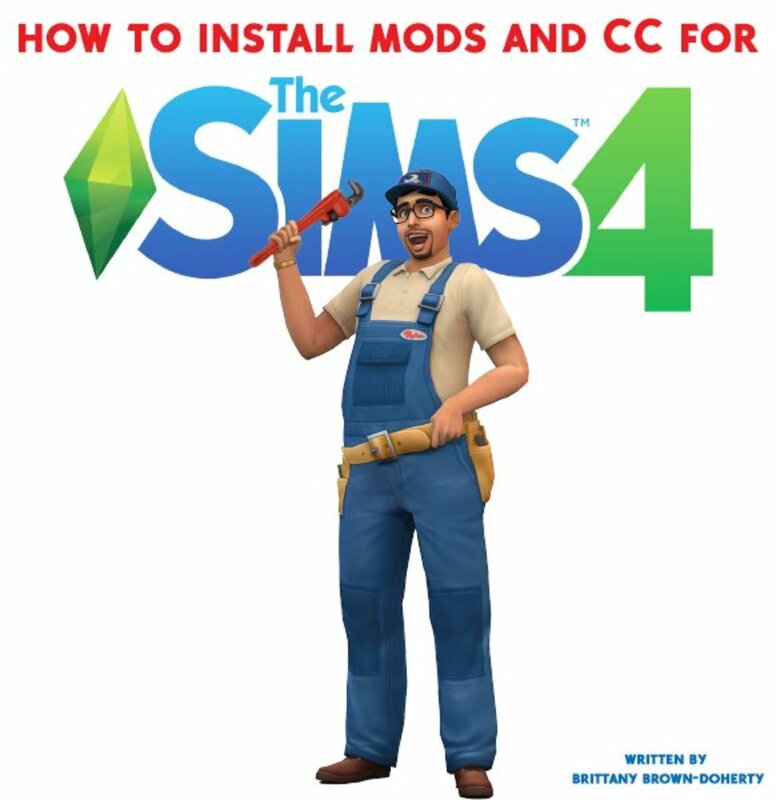 Looks like you covered a very great tutorial! 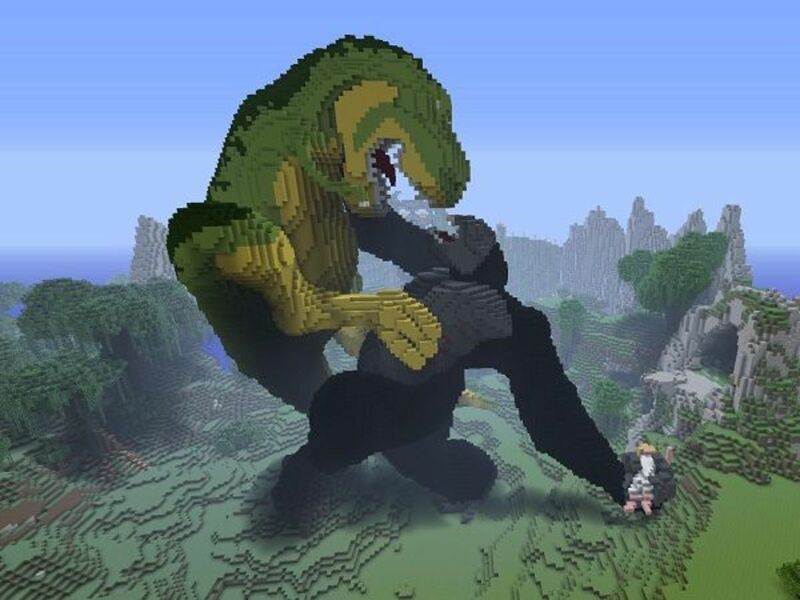 Minecraft is a really awesome game, great article. @thranax Thank you very much! 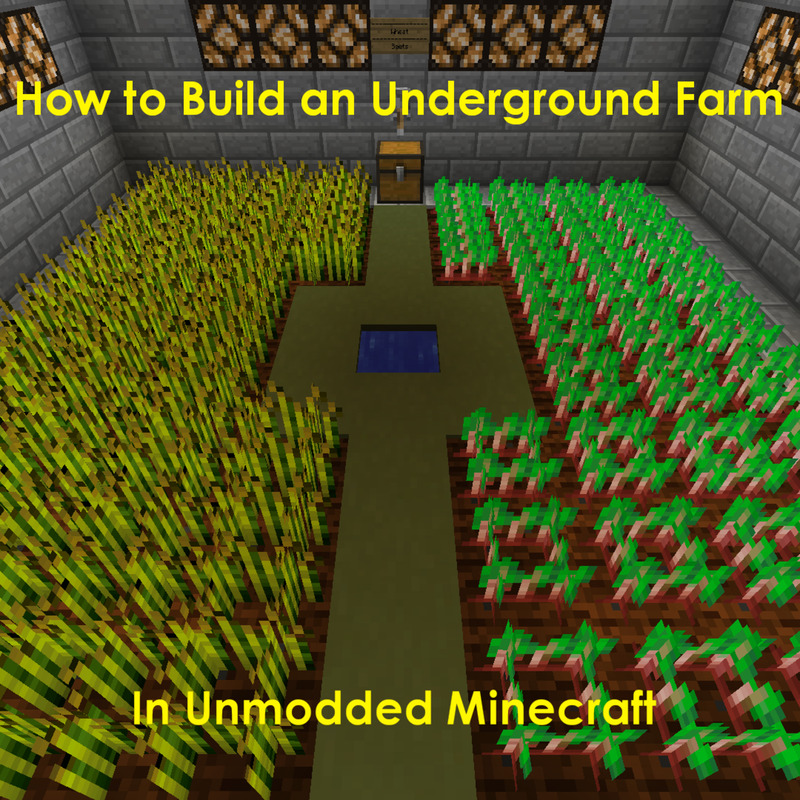 Great guide on how to make underground farms in Minecraft. @JacobCornell You mean farm in rows, instead of a huge square? You could plant however you like! I just like to economize with placement of water blocks. I love this post so much. But could you ever do that in rows? It does keep things safer! I also sometimes do above-ground farms several levels high, like a giant farm tower. It feels futuristic. This is awesome! What a great way to check on your farm and reap the goods without having to go outside with those nasty mobs. I'm about to build this right now. @SimilarSam: It is totally doable! 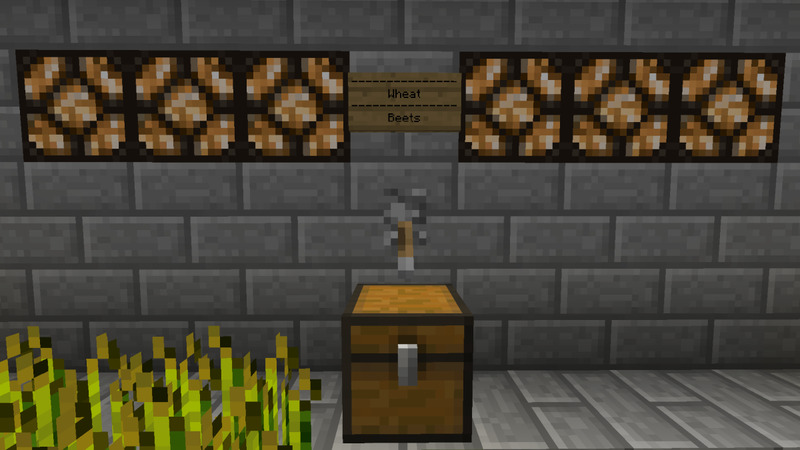 I had help setting up the redstone light switch for that wheat farm, but having it made handling the farm so easy. And I love the automated melon one - makes everything so simple! 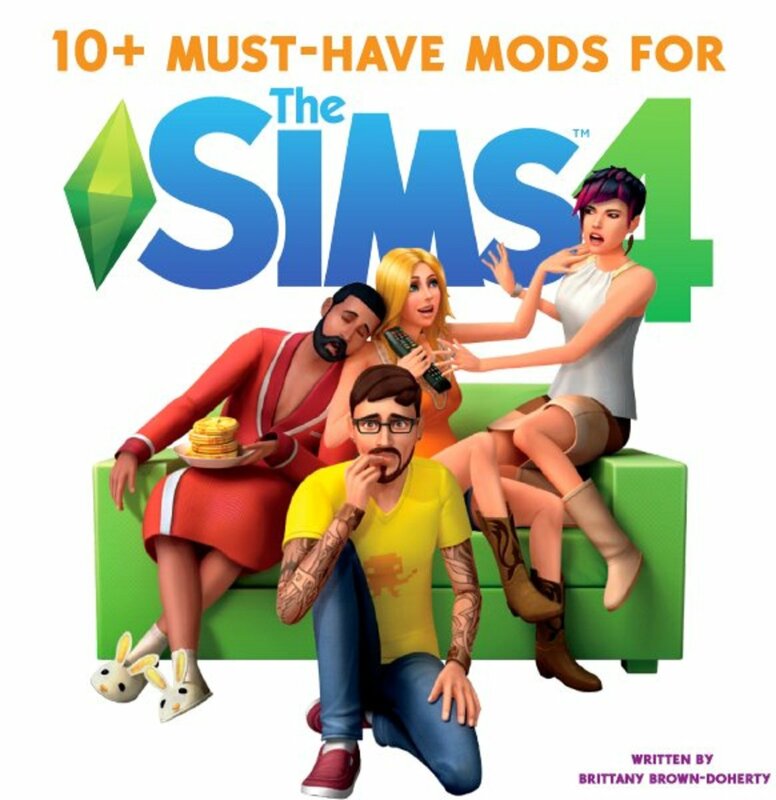 Great guide, the automated melon one looks particular interesting. I have wanted to do a Dwarven style playthrough where I have to stay mostly underground so I think it might come in handy! I didn't even know there is something called an underground farm.. Learnt new thing today.. Thanks! When I had my farm above ground I had to surround it by a high fence because the villagers and golems always found their way in. Having it underground is much easier for me. 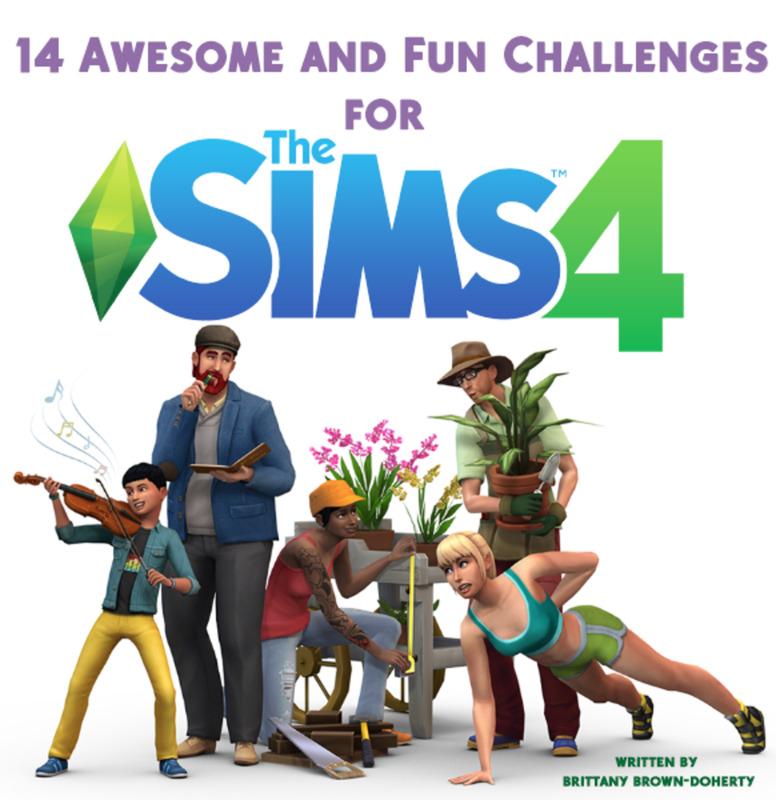 A very nice guide you've got here! I've been meaning to play a Survival world but never thought it could be as in-depth as this! I'll be sure to give it a shot and the first thing I'll do after establishing a base will be to build a farm!